Was initially going to go for a 2200G budget build, but decided to save a bit more and go for more of a mid-range system. I went with the QcK Edge XL mousepad. When I was using my old wireless mouse with my laptop, I made due with binders and textbooks, sometimes even the computer itself, as the mouse tracking surface. I wanted something that would cover the majority of my desk so I could put my keyboard on it as well. The QcK Edge XL fit the bill perfectly. At 900mm x 300mm, it allows me ample room for my mouse as well as plenty of space for my keyboard. 5/5 stars. Price set at $0.00 as I purchased using an Amazon gift card for $23.99. Arguably one of the best bang for your buck CPUs on the market right now. I'll be using the included Wraith Stealth cooler for a moderate overclock, but will be looking into getting an aftermarket cooler to really push this chip. Extremely happy with this cooler. Wonderful performance paired with a nice aesthetic. I purchased this about 3 months after I originally built the system. Main purchasing decisions were the desire to push my 2600 overclock more, and to relieve myself of the constant jet engine whirring sound of the stock Wraith Stealth cooler. Price set at $0.00 as I purchased it using an Amazon gift card for $74.90. Went B450 instead of X470 as I don't ever see myself running a multi-GPU setup. The Gaming Pro Carbon AC ticked all the boxes for me - built-in Bluetooth and Wifi, slick black color, good VRMs and VRM heatsinks for optimum power delivery, etc. The RGB was a nice bonus. Ran at 2933MHz after enabling XMP in the UEFI. Confident I can get it stable at 3000MHz, just haven't had the time to tinker with overclocking it yet. Low profile as well, so any beefy air cooler should be compatible. A nice boot drive with some space for a few games as well. Scored a 128% on UserBenchmark and placed in the 95th percentile. My only regret is not shelling out for the 1TB model when it went on sale. Scavenged this from an old laptop in my basement. Does what it's expected to do. Beautiful case. Minimalistic, with aggressive front panel angles that are camouflaged when looking at the case head-on. Tempered glass mounting with the four thumbscrews is nice. No sharp edges anywhere. Cable management options are plentiful. My only complaint is that the cutout in the power supply shroud by the front panel connectors was a few millimeters too small to squeeze the front panel USB cable through, which forced me to run it through the bigger rubberized passthrough with a bunch of other cables. Edit: Turns out the front panel USB 3.0 cable was catching on my motherboard, and I was able to route it through the cutout after lifting the motherboard a bit. Snagged this on sale for $70. 750W is probably overkill for my build, but it was the same price as the 650W and only $5-10 more expensive than the 550W. Have heard wonderful things about EVGAs customer service, so I have that peace of mind if anything ever goes wrong with this PSU. My only complaint is that the included SATA cables (which are split, and have 3 SATA connectors) are too short to connect to both my 860 Evo mounted behind the motherboard tray and the old 500GB HDD in the drive cage. A nitpicky complaint for sure, but with cable management being the most challenging part of this build, having another cable to deal with wasn't the best. Snagged this on sale - originally around $220 I believe. I'm very pleased with it so far. The curve, which I thought would be off-putting at first is nice. It's a VA panel, and contrast is exceptional. The stand is made of metal, not plastic, and is very sturdy. The pop-out headphones hanger on the left side is a nice feature that will probably grow on me. OSD is controlled via a small joystick on the back right side, and it's much easier to deal with than multiple little buttons for sure. Only complaint is that there's no height adjustment, but I can live with that. I opted for Cherry MX Browns. Happy I didn't go with a full-sized keyboard. This is my first mechanical keyboard, and I'm still getting used to the sensitivity of the keys. I really have to try to barely press the key to only actuate it once. Otherwise, if I type as I usually would on a non-mechanical keyboard, I end up ttttttyyyyyyyyyyppppiiiiiiiiiinnnnnnngggggg llllliiiiiiiiiikkkkkkkkeeeeee ttttthhhhhhiiiiiiiissssss, with a ton of actuations per a press that I'm used to being a single keystroke. Hopefully this will decrease as time goes on and I get used to using a mechanical keyboard. The keyboard itself is nice. Build quality feels sturdy. Wish it had a USB passthrough and/or dedicated media keys, but for this price, I'll take what I can get. Edit: Have since gotten used to the mechanical switches. Quite happy with this keyboard so far. Quite happy with this mouse. Wanted something without a lot of unnecessary macro keys. I was afraid I would find it too heavy after using a Logitech M185 (70-some grams) for years with my laptop, but it feels just right. Only gave it four stars as I don't have a frame of reference for any other mice, and I'm sure there are other more expensive options out there that improve on this awesome one. Price set at $0.00 as I purchased using an Amazon gift card for $54.99. Nice system for reasonable price. And you have some really cool and good quality stuff in there. 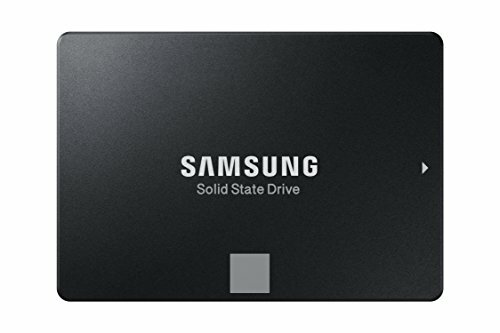 Like Mashify C and 500 gigs Samsung SSD. Great work. Thanks! Happy it turned out as well as it did! Cable management needs a good amount of work on the backside, but I'm not jumping on that anytime soon because who looks behind that rear panel? Do you have issues with the stock cooler fan making a weird noise when you turn off the system? How is the color on the monitor? 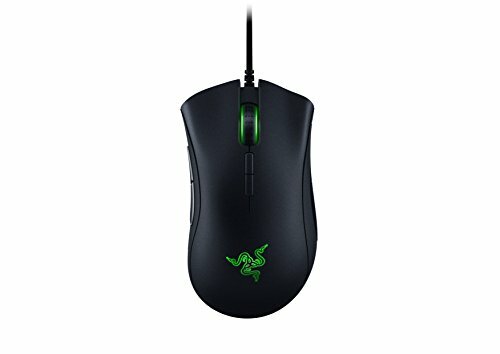 How does it compare to an IPS? I'm not versed in the ways of testing color gamut and all that, but I'm very pleased. The contrast levels are awesome, and the color gamut is deep. I don't use it for professional applications, so maybe someone who does a lot of photo or video editing would point out shortcomings, but I have absolutely no complaints. I've added what I have on my phone, but I can take more tomorrow when I get home. As you can kinda see from the full setup picture, the headphone hanger is on the left side of the monitor, about 75% up from the bottom. It's just a spring-loaded piece of plastic. It is normally flush with the panel. Push it in to release it, and it slides out. When you're done, push it back into the panel, and it satisfyingly clicks back into place, hidden from view. As I mentioned, I just thought it was a marketing gimmick. But it's perfect to rest my headset on while it's charging - the microUSB cable that came with it is pretty short.